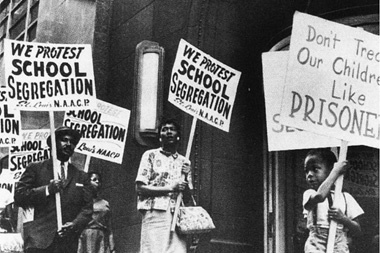 The results of school segregation were studied. As part of the Civil Rights Act of 1964, a national survey on inequality was commissioned to assess the degree of segregation of students and teachers, and its relationship to student achievement. The findings were discussed in a report titled Equality of Educational Opportunity by lead researcher James S. Coleman. The study used “indicators of educational quality” to determine whether schools offer equal educational opportunity. Researchers looked at both “school inputs” such as curriculum, facilities, practices, and teacher and student characteristics as well as “outputs” as judged by standardized achievement tests. They did so with the warning that a “statistical survey can give only fragmentary evidence” of a school environment. 2) that disadvantaged blacks show higher achievement in racially mixed schools. What happens in schools and communities matters? School climate and culture matters? Part 2 of ten blogs on The Road to Educational Quality and Equality that started with The March Begins. This entry was posted in American Education Wars, Vision & Action and tagged Civil Rights Act of 1964, Equality of Educational Opportunity, James S. Coleman, pupil attitude factor, School climate, school culture, societal culture, standardized achievement tests, The Coleman Report by Victoria M. Young. Bookmark the permalink.